Hi! My name’s Celia. I’m a resident of Denver, CO who loves to read, grow her own food, and be outside. In early 2007 I moved to the suburb of Arvada. This was not by choice, but as a result I suddenly have space for a real kitchen garden and then some! So now I am an aspiring “suburban homesteader” – the possibilities are endless. Cooking and gardening are now inseparable to me. I started out pursuing each as its own hobby, each fulfilling and relaxing and totally rewarding in its own right. After two years in a community garden and building my own vegetable garden from scratch in 2007 (my back still hurts! ), the two have fused into one all-consuming interest. It has everything to do with food that’s local, healthy, organic, fresh and sustainable. But it’s also just about getting back to nature, feeling connected to seasons and the earth, and the immense satisfaction of watching a tiny seedling grow into a great leafy plant and finally make its way into a warm, savory soup… the leftovers of which become compost which nourishes next year’s tiny seedlings. These kinds of cycles manifest themselves in so many ways, and I hope this blog will provide an entertaining and informative place to explore them. – was unique and memorable in some nice, green, fresh, appealing sort of way. I have a green colander and it’s one of my favorite kitchen gadgets. It’s what I grab when I go outside to harvest the day’s bounty. It travels back and forth between kitchen and garden, carrying fresh tomatoes, squash, greens and herbs in to be washed and chopped. I quickly realized that what I first just seized on as a catchy name was the one thing that concretely links these two realms which have become melded in my mind. Plus, it’s cute, green and shiny. I encourage everyone to get their own green colander. It could change your life. Someday soon, like next spring, I would like to raise my own chickens. Stay tuned. Question about the stollen. I grew up in MI and always had Frankenmuth stollen (with the raisins and such). My grandmother made it that way too to please my German grandfather. My family likes it that way too, but I have to omit the nuts because my husband cannot have them. What adjustments would you suggest for adding some raisins or candied citrus? Should I reduce the sugar at all? Just curious if you would know. Thanks in advance! My mom makes her stollen both ways – with and without the raisins and candied citrus. I don’t believe that she changes the recipe at all when she adds the fruit; she just makes a loaf with it and a loaf without it. We’ll be making it again in about a week so if there are any adjustments I’ll be sure to post something about it or let you know! I have a backyard garden, but would love to add chickens to the mix. Of course, Menomonee Falls WI doesn’t allow chickens…am thinking of going rogue! Best of luck to your 5 peepers. Love your blog! Hi Sheri! Too bad about the chicken laws… Don’t discount the value of advocating for them to be changed though! Here in Colorado a lot of towns are revisiting their codes thanks to pressure from the citizens. 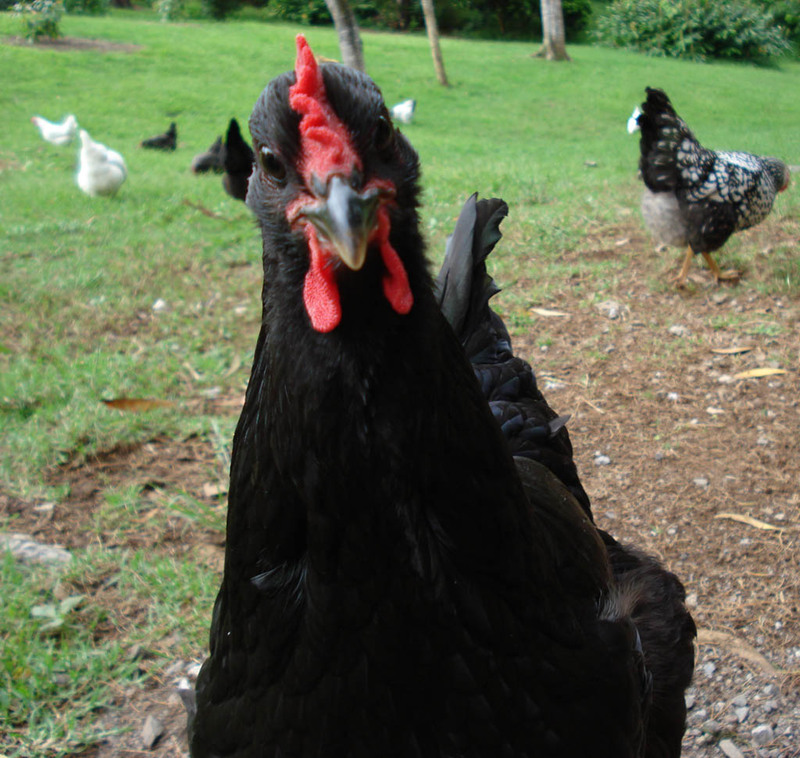 It’s worth a shot and will at least add your voice to the gathering chorus in favor of backyard hens. 🙂 Good luck! !